Today's column will turn wine into water. 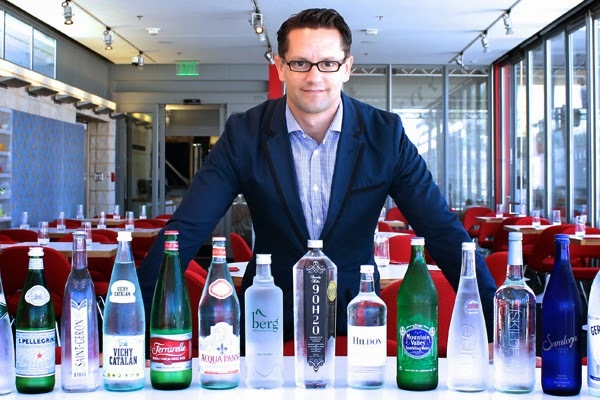 That's because the subject is Martin Riese, certified water sommelier for the Patina Group, specifically Ray's & Stark Bar at LACMA. It turns out the German-born Riese and water go way back. "When I was four years old and would go on vacation with my parents, the most interesting thing to me was to taste the tap water in different cities," he remembers. But it wasn't until 2005 that he came to his calling, for as he recalls, "A customer said to me, 'You have so many wines on your list, but only one water,' and I thought, 'He's absolutely right!' We're all about options in the restaurant world -- how many beers, how many wines -- well, water has a huge variety of tastes."